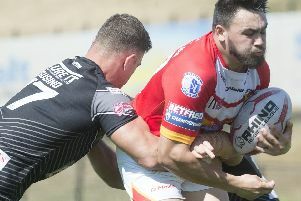 'One step forward, two steps back’ is the overriding feeling of the season from Sheffield Eagles director of rugby Mark Aston, as he continues the head scratching over their inconsistent form. 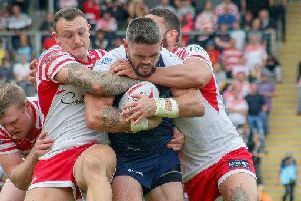 The recent second-half fight-back against Swinton suggested that the Eagles had again turned the corner in what has been a Jekyll and Hyde season for Aston’s troops. But they fell back into old habits in last Friday night’s defeat to Dewsbury, leaving coach Aston criticising his side for their deficiencies. “It has been the story of the year. We have taken a step forward but then we take two back,” Aston explained to The Star. "We ask them to win the ruck, be aggressive and assertive - do the things we have spoken about. They didn’t do them. It has come back and smacked us on the chops. We get what we deserve because simply we are poor. We are poor in how we got around our business. With survival all but secured, Aston wanted to avoid a situation where the season petered out – not only for pride but for the crucial funds that are available before the end of the season. The obvious scenario of a winning team brings in more supporters, coupled with the increased prize money for finishing higher in the standings, means Aston can ill afford to let the season slide as the club look to secure vital extra funds for next season. "Application, attitude, commitment, discipline, respect, honesty - they are words that I have used all year and they are words I'll continue to use by the end of the year the way we are going,” he added.